A striking scene of departing rays of evening sun on the sand-sheets spread over this western city of Rajasthan gives an ornamental picture to the eyes of the traveler. 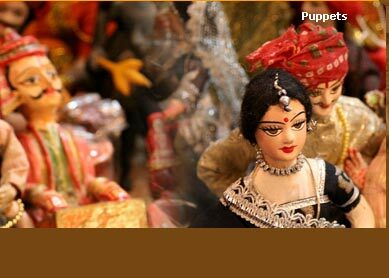 Also Known as : The Golden City of Rajasthan. Famous for : Jaisalmer Fort, havelis, Jain temples, sand dunes, camel rides, ethnic cuisines and textiles. Location : Located at India-Pakistan border in Rajasthan, with the colorful town Bikaner to its south and the royal city of Jodhpur to its east. Best time to visit : November to February, specially during the Desert festival in February. Climate : Desert type with summer temperatures touching 45 degree max while the winter temperature stays at around 20 degree Celsius. The beautiful sand city was established by Rawal Jaisal, a descendant from the Yadav clan, in 1156 AD as believed to be professed by Hindu Lord Krishna. He was a Bhatti Rajput, who were known for their courage and chivalry. It's strategic location at the western border of the country made the city an important destination for foreign trade in the medieval era. Silk, spices and many other items were traded with countries like Egypt, Africa, Persia among others. 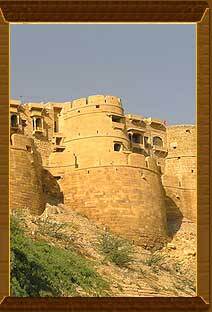 Jaisalmer Fort : The famed fort located at Trikuta hill houses a small township and consists of three jain temples, havelis and five palaces in its premises. The yellow honey-hued fort can be approached from four gateways. The fort's uniqueness lies in the fact that it seems a living fort with the sparkle added by the stalls, shops, temples and the fort-dwellers adding to the hustle-bustle. Raj Mahal or the royal palace, laxminath temple are the main attractions in the fort. Jain Temples : Dating back to the 12th century, these temples are places of pilgrimage dedicated to Jain Hermits Rishabhdev, Sambhavnath and Paraswanath. Yellow sandstone has been used for these structures of archaeological importance and the carvings on the walls in the Dilwara style are also beautiful. Nathmalji Ki Haveli : This haveli was carved out by two architects Hathi and Lallu in 1885 for the then Prime Minister of the city Diwan Mohata Nathmal is unique in its own way as both the architects took charge of one-half of the structure with the same plan because of which the palace turned out to be completely dissimilar from the two phases. The beautiful carvings of both animals and the modern gadgets is not to be found anywhere else. Patwon Ki Haveli :Built by a brocade merchant called Guman Chand Patwa for his five sons in 1805 is said to have taken fifty years to complete. The arched gateways, carved pillars, extensive corridors, murals and the jaali work on the yellow sandstone for ventilation are the attractions to look out for. Salim Singh Ki Haveli :This haveli was built around 1815 and is named after Salim Singh, the then Prime Minister of the princely state of Jaisalmer and lived there with his seven wives. The haveli is famous for its ship prow's-shaped structure on the upper floors for which it is also known as Jahazmahal and the peacock shaped brackets. Gadsisar Lake :This lake today serves as the ideal picnic spot with rain-water bodies and migratory birds but earlier it used to quench the thirst of almost the entire city. Bada Bagh :This garden is located around 6 km from Jaisalmer. It is an artificial lake skirting the most fertile land of the area . It has a garden having a grove of mango trees, Jait Bandh Dam and Jaitsar water tank that are named after Maharawal Jait Singh who constructed the site in the 16th century. Sam Sand Dunes : Due to its close proximity to the Thar desert, the city has witnessed many desert legends and wars. The Sam sand dune is 3 km long, 1km wide and around half a km deep. The eyes find the whole landscape as a yellow blanket over a rough, arid land with hot winds blowing on it, giving the area a rough, inhabitable display. A camel-ride and the golden sunset view of this place should not be missed. Khuri Sand Dunes : Khuri is famous for its sand and straw made houses , this place successfully takes you to a bygone era distant from the modernity and tall structures of the city scene. If you find a lot of crowd in Sam Sand Dun, you can opt for Khuri for a calm getaway. Desert National Park for the multitude of fauna, Desert Culture Centre and Museum to study the culture of Jaisalmer and the Wood Fossil Park to study the Thar Desert are major centres to enrich ones knowledge. For an ultimate shopping experience in the city and to have a glimpse of the place where most of the activities of the city take place, don't miss the Manak Chowk outside the Jaisalmer Fort famous for the local ethnic products of mirror work, stone work, rugs and blankets, tie and die and embroidery on textiles and decorative items, silver ornaments like anklets and nose-pins which are some of the exciting options to shop for. Find all the excitement and bounce at the Desert or camel festival that takes place in January/February in this lovely city. 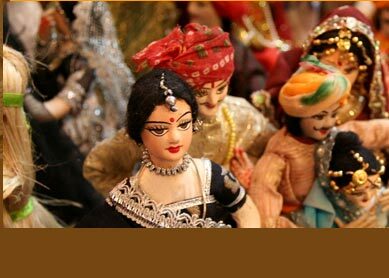 With various events like camel race, folk dances, sound and light shows and contests such as turban-tying contest, the colorful markets and shops which add zing to the otherwise arid lands, you will find yourself tapping a foot and relishing the flavors in the desert land which will leave a mark on just your album but also your mind. Air : Jodhpur (285 km) is the nearest Airport connecting to major Indian metropolitan cities. Rail : :The royal experience on the train 'Palace on wheels' has a stopover at Jaisalmer. Advance reservations are required. A direct train from Jodhpur is also available for a comfortable journey. Rail networks also connect the city to Jaipur, Delhi and Mumbai. Road : Comfortable volvo buses and private coaches are available. National highway connects Jaisalmer to major cities of Rajasthan and also Delhi.